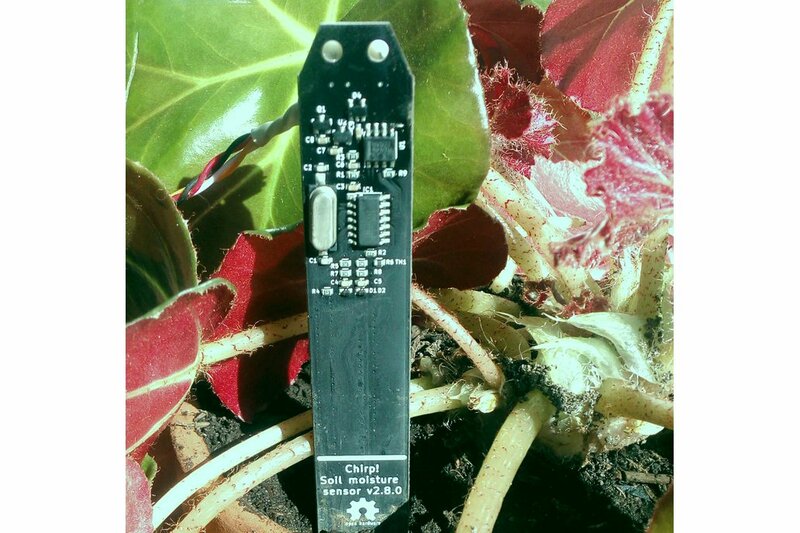 Capacitive soil moisture sensor interfaced via Modbus over RS485. Additionaly provides temperature readings. Open Source Hardware. Each order contains 1 device. This is a contact-less capacitive soil moisture sensor, a continuation of my I2C soil moisture sensor. This particular version of the sensor is suited for more professional installations where long cable runs is a requirement. 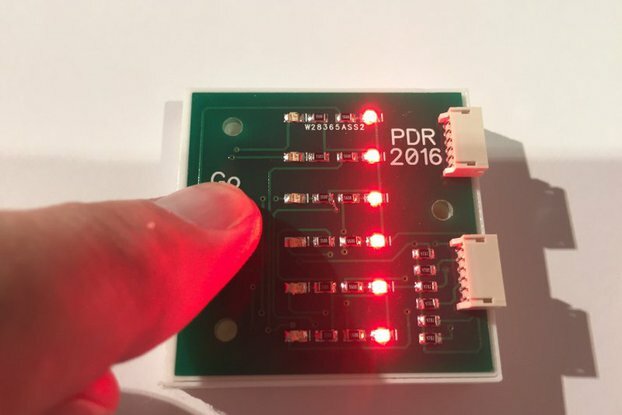 It adds a local voltage regulator to mitigate the voltage drop and RS485 transceiver to accommodate long wires, also reverse polarity and an additional ESD protection level is added. 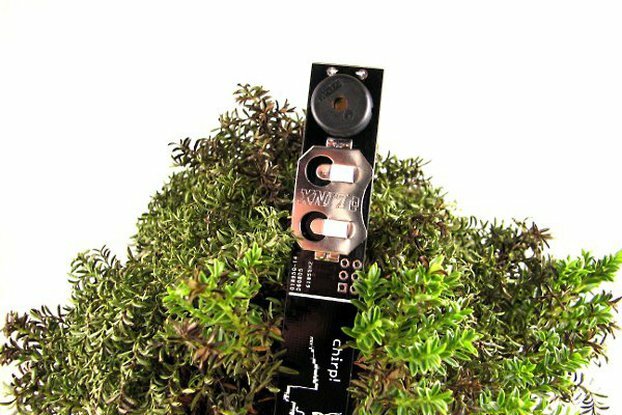 This is the easiest and the most robust way to read soil moisture and temperature values into Raspberry Pi. I have written a tutorial how to do it. Also check out this tutorial. Sensor makes periodic measurements (by default, once every 500ms), delays between measurements can be updated by writing to one of the Modbus registers. The results of the measurements are kept in specific Modbus registers and can be read by master at any time unless the sensor is in deep sleep. Deep sleep is entered by writing a number of seconds to sleep into a special sleep register. 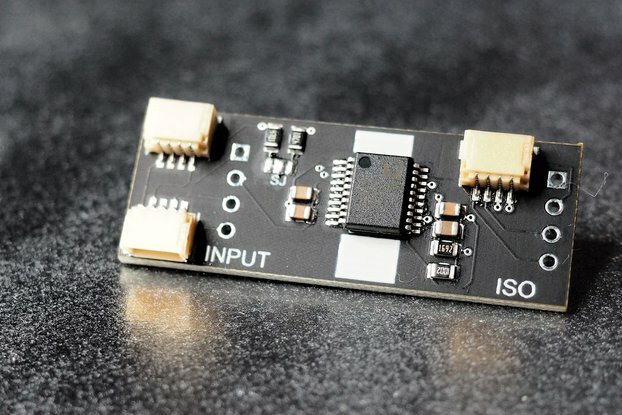 The sensor will put the transceiver and all the periphery into the lowest possible power consumption mode and sleep for the specified amount of time. Sensor will not respond when in deep sleep. After the sleep period is over the sensor will wake up, start taking measurements and will be available on the bus. Serial communication parameters as baud rate, parity and address can be updated by writing to related registers. The sensor will reset and boot with the new parameters if any of those registers are written. 2 2 [0 - 2] 0 Parity Note: most cheap ebay USB to RS485 dongles don't support parity properly! 4 2 [1 - 65535] 0 Time to sleep in seconds. 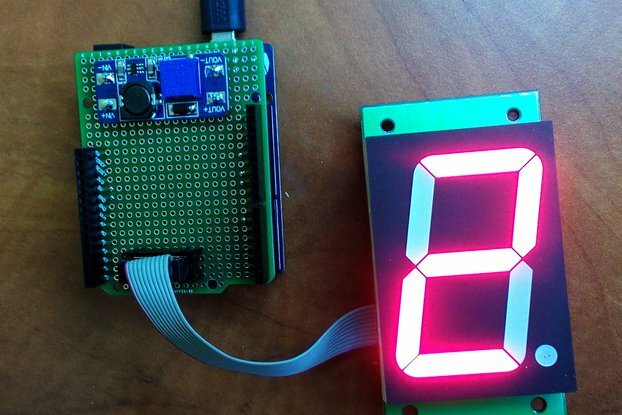 Write to this register to put the sensor to sleep. Note: most of the cheap ebay USB to RS485 dongles and/or their drivers do not support parity setting properly! You will have to use a proper parity supporting adapter to unbrick the sensor if you set this to something that your dongle does not support! Luckily Adruino with ATmega 16u2 can be used as USB to Serial adapter to solve this. Moisture values are relative. Meaning, more moisture will give you higher reading, less moisture - lower reading. It's up to you to calibrate it to amount of water in the soil as readings will be different for different types of soils. Moisture is somewhat linear. I test all sensors before shipping and they give about 211 in free air. Variation of this baseline figure between sensors is within range of 10 LSB, with a standard deviation of 2. Temperature is measured by the thermistor on the body of the sensor. Calculated absolute measurement accuracy is better than 2%. The returned value is in tenths of degrees Celsius. I.e. value 252 would mean 25.2°C. The sensor will work fine with any controller supporting serial communication provided you have an RS485 transceiver. There are a lot of Modbus libraries readily available for a variety of micro-processor families. Thea easiest way to try the sensor is to use one of the abundant and cheap USB to RS485 dongles and connect it to a Raspberry pi or even directly to your computer. I have written some basic test code in python that is available on github page. Polyester or epoxy resin - this method is the most bullet proof as the resin is totally resistant to the water. On the par side, note that sensitivity of the sensor will decrease depending on how thick the layer you are going to apply. Also applying the resin in uniform manner presents some challenge. PlastiDip - some of my customers have tried this method - easy to apply by spraying and not a lot of loss of sensitivity. Be sure to coat the whole thing - the sensor part, the electronics and the cable connection itself so no bare copper or solder is accessible to the water. Pre-coated version is available. The sensor is coated in epoxy resin, cured and additionally protected by adhesive-lined heat shrink. The 1m (3 feet) long cable is pre-soldered. The dongle I sell is sourced form Taobao. 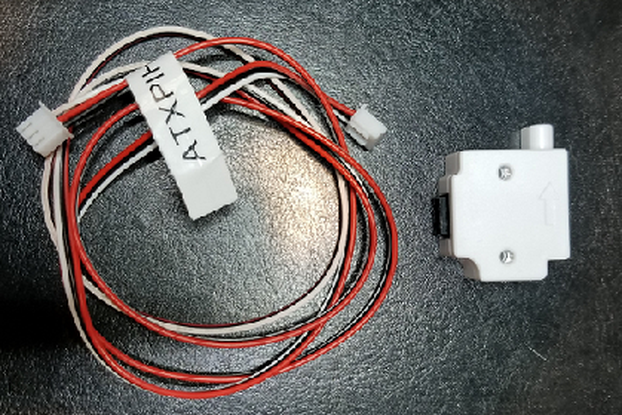 It is pretty decently designed in a sense that there is some effort put into adding input protection, also it has case, provides power on the connector and does not cost an arm and a leg. It works out of the box under Linux with kernel 4.9 or newer. My Raspberry worked fine after I applied all the updates. Run uname -a to test what your kernel version is, run sudo apt-get update && sudo apt-get upgrade to update your system. I did not have a chance to test it under Mac. Let me know if you can do that, I will throw one in for you for free with your order. thk for the fast delivery (this was really totally unexpected). After restart the dongle was available as "/dev/tty.wchusbserial1410"
If i'm right you are shipping this dongle: http://www.sah.co.rs/lx08h.html They mention also a windows driver there, maybe it makes sense to also cross-link them here as well. This sensor is great. I currently have it tied to a pi (with a 40 foot wire) with the usb adapter provided, and it works like a charm. The data is currently being ingested into Splunk, and controlling a solenoid valve. I will be purchasing more of these in the near future. I got this RS485 sensor as a replacement for the I2C sensor, where I had issues. During our communication, the seller was very helpfull and obliging. After following the instructions, this RS485 sensor works out of the box. According to the provided Python library, it's also easy to use it on other software stacks. In my case, I want to use Typescript/Node.js on a Raspberry Pi 3. Using the avaliable open source documentations, you can search suiteable librarys for serial communication and get the data like moisture or temperature by writing a short wrapper. In my case, I'm using modbus-serial npm package. My wrapper class with all operations (moisture, temp, get/change id) has about ~80 lines of code. The sensor itself works great for several weeks now. My software has a cron, which read the moisture every 5 minutes. It's very stable, upon now I never had any issues. My choice fell to the rugged version, so that no short circuits happen when the sensor gets some water during watering. 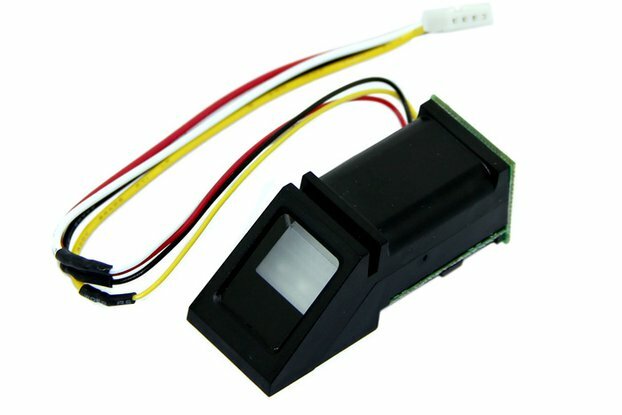 I found no better sensor for those purpose. Only ones that are more expensive, analog (so you need an additionally AD converter) and morever proprietary (which in general I don't like). Works as expected and very good service from the seller. I bought two of those for a home project that I wanted to do early last summer. Unfortunately, there was some issue in the mailing and the sensors never showed up. Contacted the seller and he/she was quick on sending another set of two. The sensors finally showed up less than two weeks after. I tried to connect those the cheap way by using some ebay C25b mini boards. I was never able to fine tune the modbus and kept having issues with some sort of debounce. I played as much as I could to get the serial port and modbus in sync but never got quite there. I finally decided to stop wasting my time and bought a 30$ FTDI usb to RS485. Done. Worked immediately. My advice: save yourself some time and make sure you get a decent RS485 dongle and it will work like a charm. I bought a piece of the RS485 Soil Moisture Sensor (rugged version) a month ago. I have tested the sensor, it work very well and I am able to use it on my already existing RS485 bus between microcontrollers and a computer. The shipment was quick, the source code (following website links) was understandable, the only thing I missed was some wireing diagram, so here is the correct wireing: black = GND red = +5V yellow = noninverting RS485 green = inverting RS485. Great product, good value for the money! Thanks to the producer from me in the arctic part of Norway. A much better moisture sensor, well made. Much better and (hopefully) longer lasting than the cheaper resistance type. Bought 4 of these for use in poly tunnel watering system using Raspberry Pi. Good build quality, I sealed all the top and the cable connection in epoxy resin. If you're planning to use more than 1 sensor, ask to have the address set before shipping. Setting it yourself is not simple. But still a good product. Address change bug was fixed at this point, there are no issues setting address to the sensor - you have to hook up sensors one by one and assign them individual addresses.